Medicare Dings Hospitals For Too Many Repeat Customers : Shots - Health News The federal government wants hospitals to take responsibility for discharged patients to make sure they are not admitted again within 30 days. Medicare will penalize hospitals with many repeat admissions, but some think putting this whole burden on hospitals is not fair. Denver Health has a network of clinics to keep track of patients discharged from its hospital. A paradox of American health care is that hospitals are sometimes rewarded for doing things badly. Patients who are discharged, for example, shouldn't have to come right back because they got worse after getting home. But if they do come back, hospitals benefit because they can fill an empty bed and bill for more care. The federal government says, in fact, that Medicare alone pays $17.4 billion a year for unnecessary return visits. The 2010 health care law contains provisions to fix that problem, and this week Medicare started docking payments to hospitals that have too many repeat customers. 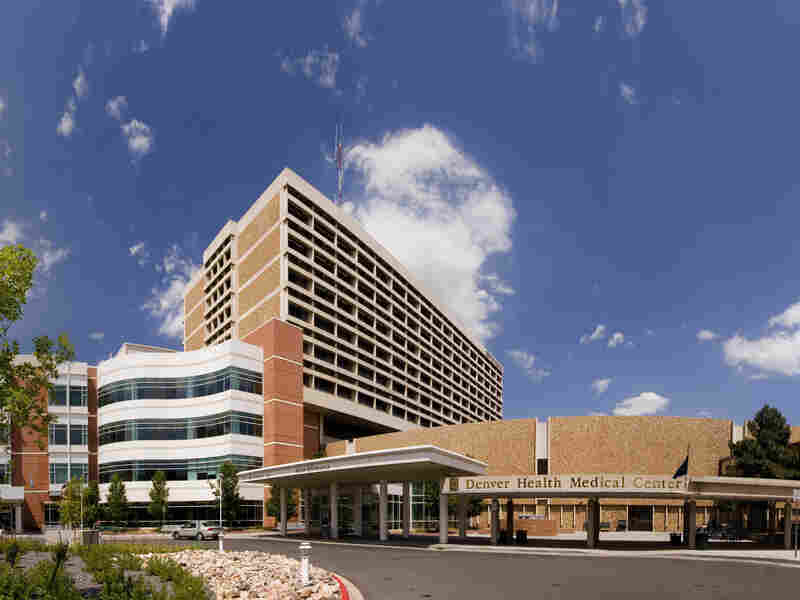 The federal government wants hospitals to be more like Denver Health, which doesn't have to readmit many patients. Dr. Thomas MacKenzie, the chief of quality at Denver Health, says a big reason is because the hospital is able to help patients get follow-up care once they leave. "Part of it is making sure you have access to get an appointment, so in our system, we can facilitate that," says MacKenzie. Denver Health does this through its own network of neighborhood clinics, which are all linked by a computerized record system. The hospital can let them know that a patient who needs follow-up care is coming and help them get a priority appointment. But many hospitals don't have close relationships with their patients' primary care doctors. And setting up a more integrated system requires resources, says Dr. Atul Grover of the Association of American Medical Colleges. "All of that requires paperwork, legal agreements — a level of resources that may not be available in some of the really poorest neighborhoods in the country and the hospitals that are serving them," he says. Grover says it's unfair to tie how much hospitals get paid to what kind of health care their patients are able to get after they've been discharged. "That quite frankly needs to be a shared responsibility," he says. "It's not just the responsibility of the hospital, and yet you're putting the entire financial burden and expectation on an inpatient setting." An architect of Medicare's new policy to prevent so-called boomerang patients is cardiologist Harlan Krumholz at Yale School of Medicine. He agrees that preventing readmissions is a shared responsibility, but he says it's perfectly sensible to make hospitals accountable for it. "You have to look at the hospitals and say, 'You've got this extra burden because you are the central organizing force for health care in most communities in the nation,' " Krumholz says. " 'You get more revenue than anyone else, and with that position comes great responsibility.' "
Critics of the policy say penalizing hospitals makes it harder for them to take on more responsibility. Investing in better relationships with outside providers, they say, takes money, and the Medicare penalties mean money is harder to find. But Krumholz says something had to be done, and he hopes the new penalties will help reverse hospitals' financial incentive to keep their beds full, since better care may mean leaving them empty.